I need to have the built in cupboard removed from my daughters bedroom to give her more space. Firstly, the electric light switch and wiring will need to be relocated to the wall by the bedroom door, the frame removed and the wall knocked down. I will then require the floor , skirting and ceiling made good and the walls replastering where required. 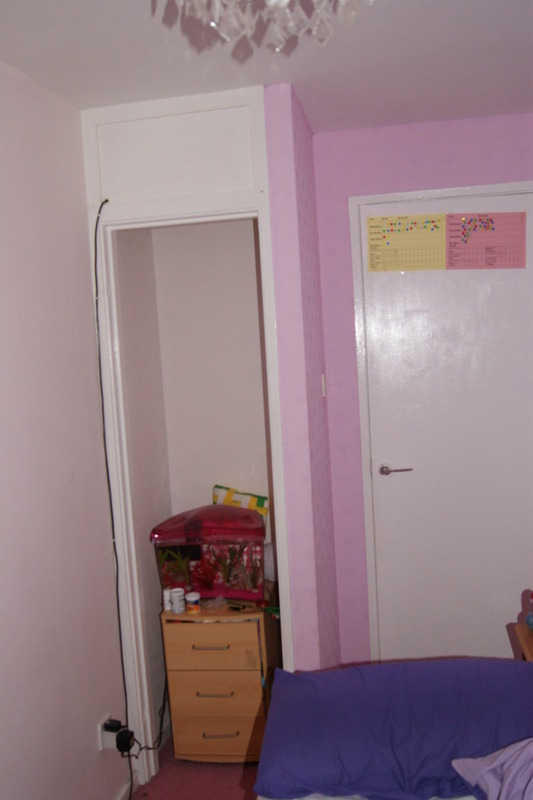 There also needs to be a check done to ensure that the cupboard wall is not part of any supporting walls! The job was viewed and quoted on Wednesday and completed to a very good standard three days later. Utopia contractors were friendly, polite and quick. The cupboard and wall was removed and the repairs to the walls and ceiling done well. I would recommend Gary and his team. I have got Gary to quote me for another job I need doing to the outside of the house.